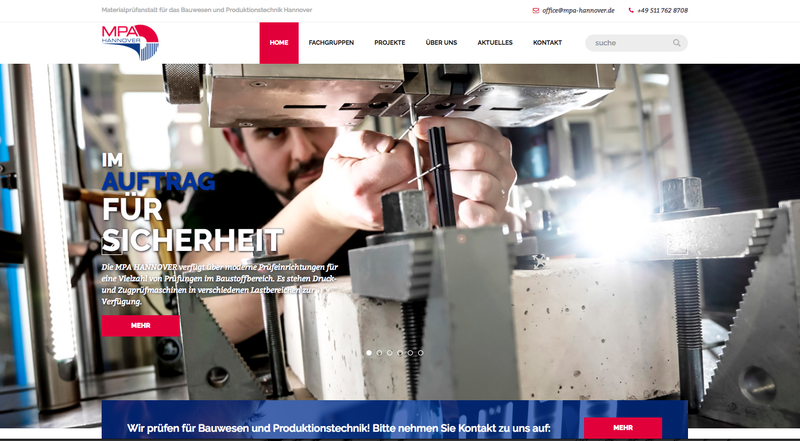 After the merger of Materialprüfanstalt für das Bauwesen Hannover (MPA BAU HANNOVER) with the operating sites Hannover and Clausthal with the Materialprüfanstalt für Werkstoffe und Produktionstechnik with residence in Garbsen to form the Materialprüfanstalt für das Bauwesen und Produktionstechnik (MPA HANNOVER), it was time to update our website. We are pleased about a successful implementation. Enjoy your reading!